How to choose the right cycling gloves for miles of pain free riding! A pair of cycling gloves are one of the few pieces of apparel that make direct contact with both your body and the bicycle. They help you maintain proper grip on the bars when things get hot and sweaty, they protect your skin in the case of an accidental dismount, and they can help alleviate soreness and numbness in your hands. However, like any other type of cycling gear, you can’t just grab any pair of gloves off the shelf. The gloves have to be the perfect fit for you. Below is some information to help you find the right pair. Through the palm of your hand runs a nerve called the ulnar nerve. It’s the nerve responsible for the shock you feel when you hit your funny bone. It’s also responsible for the sensation in your pinkie, ring finger, hands, and any subsequent discomfort when riding. By holding the handlebar, pressure is placed on the ulnar nerve, sometimes creating numbness or pain. 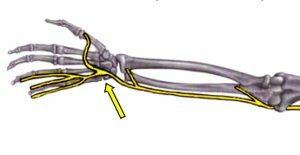 At the location where your hand, the ulnar nerve, and the handlebar make contact is where cycling gloves offer relief. Many gloves include padding on the palm to disperse the force being applied to the Ulnar nerve. The pad acts as a little bridge over the nerve, eliminating hand discomfort, and allowing you endless miles of comfortable riding. When trying on cycling gloves, focus on the webbing between your pointer finger and thumb. The webbing will give you a great indication of fit when holding a handlebar. If the glove is snug enough to avoid scrunching up and chaffing, then it’s a good fit. However, if the glove is too tight through the webbing, then holding the bar will only intensify that pressure. If this is your first time using gloves, realize that holding a bar with gloves will feel different. If it feels like the padding puts your hand in an unnatural position, try on different pairs until you find one that feels more normal. Cycling gloves come in two major categories; full finger and half finger. Both types offer the same sizing and padding options. For road and path riding half finger gloves work great. They allow for good feel on the controls and manage sweat well. If you are riding off road, a full finger glove offers better protection in case of an accidental dismount. When you follow the tips above, you should easily be able to find gloves that help you enjoy mile after mile of comfortable riding. For keeping your gloves clean and stretching there longevity this article. This entry was posted in News and tagged bike glove, bike gloves, bike riding gloves, buying bike gloves, buying cycling gloves, comfortable bike gloves, comfortable gloves, cycling gloves, hybrid bike, mountain bike, Path Bike, road bike, Trail Bike, trying on bike gloves on April 19, 2018 by John Brown. 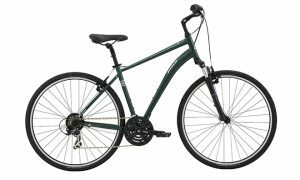 Trail bikes, fitness bikes, hybrid bikes, and dual sport bikes all fall into the same category of bicycle. Although these bikes all occupy the same category, they have very different uses. Read on to find out what bike will fit your needs best. 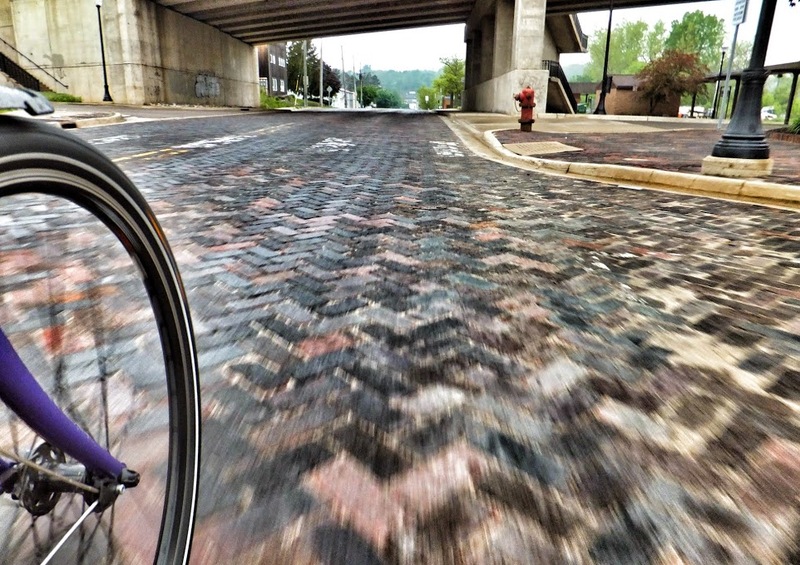 Paved surfaces are more inviting to cyclists than ever before thanks to bicycle conscience city planners and influential cycling groups. 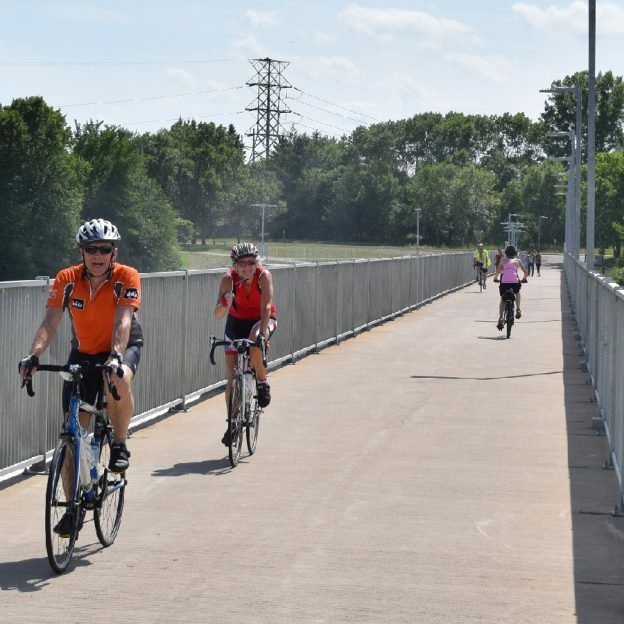 Bike lanes on city roads, bike paths on retired rail lines, and dedicated cycling trails are just a few of the options open for paved riding. Because of these options, there are many bicycles available for paved riding specifically. 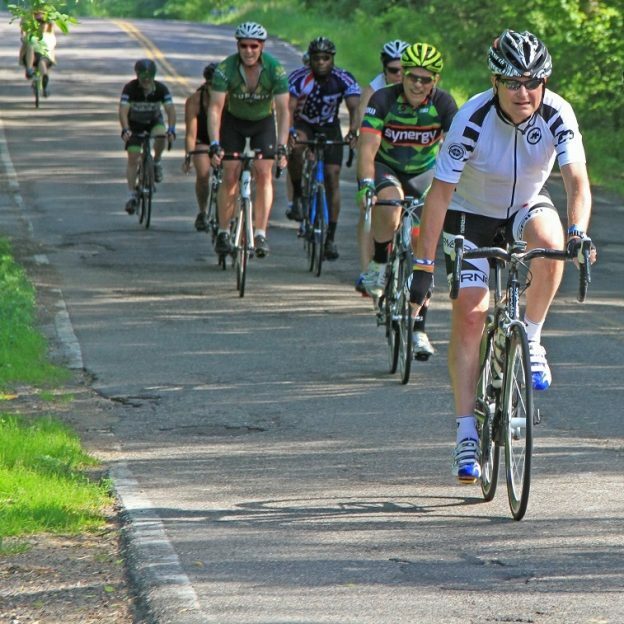 By far, path and trail riders are the largest segment of casual cyclists. This is due to the vast availability of riding options. Due to the fact that there are tons of options, these bikes are designed to ride comfortably and efficiently through almost anything. A newly emerging category is casual off road riding. For this reason, many bicycle manufacturers have developed products to allow riders to enjoy trails comfortably. These bikes are similar to path/trail bikes, but usually include tires with more knobs and suspension. How frequently do you plan on riding? 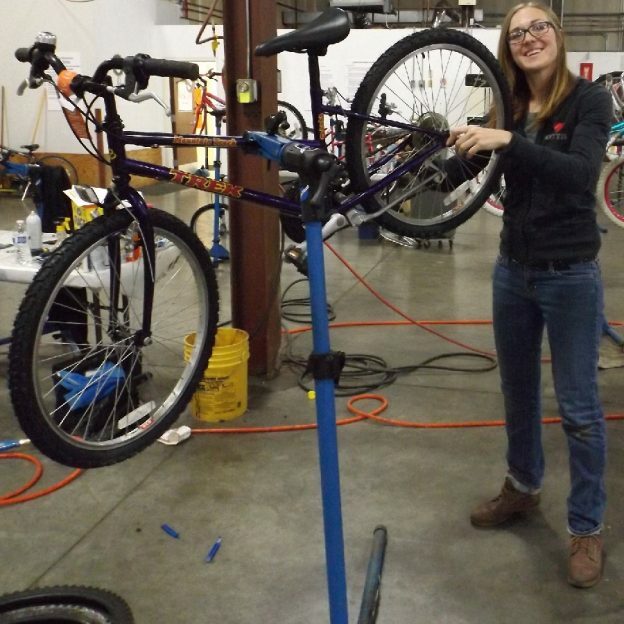 The cost of a bicycle can range from around $300 up into the tens of thousands of dollars. The most basic models use less durable materials like plastics rather than metals in the shifting components, and mild steel rather than stronger alloys for the drivetrain and cockpit. As the prices increase, stronger materials replace less durable materials, lending to a bicycle that will hold up better for frequent use. Consequently, at a certain price (different for every category of bicycle), the durability doesn’t increase. Instead, the weight begins to decrease. A lighter bicycle is easier to control and accelerate (making for a more enjoyable ride). Determining how frequently you intend to ride and weighing that against the bikes you are looking at will ensure you get the right bike for your needs. Rim brakes work by two rubber pads squeezing the aluminum rim of your wheel. They are inexpensive, functional, and lightweight. When conditions are good, they work incredibly well. Disc brakes use hardened semi-metallic pads to squeeze a hardened steel rotor. Disc brakes produce an enormous amount of friction, and that friction can overcome poor conditions. To summarize, both brakes work, but disc brakes work better in poor conditions. Bikes that go off road typically use suspension forks to silence the chatter of gravel paths, dirt roads, and trails. Bikes with rigid forks tend to handle better because they are laterally stiffer and end up being lighter due to the lack of moving parts. In this category, you will find smaller wheels and larger ones. The smaller wheels are usually 26” in diameter and around 2 inches wide. The larger wheels are sized out at 700 c (roughly 28″ in diameter) and usually are between 28 and 42 millimeters wide. Once you have figured out where and how often you want to ride, and you learned about some of the features, it’s time to learn about the differences in the bikes. Hybrid bicycles at one point were the only bike in this category. They get their names from the fact that they were initially a hybrid of a mountain and road bike. Today, a hybrid is a great bike for fun and fitness. They usually incorporate suspension forks to smooth out the road. Most types use a tire that is 30-40 mm wide and well suited to gravel roads, rails to trails, or paved roads. If you are looking for the most comfortable ride across the largest segment of conditions, a hybrid is the right choice for you. Fitness bikes share a lot of features with hybrids. They have similar wheel sizes, riding positions and gearing. Where they differ is that hybrids incorporate a lot of features to add comfort, while fitness bikes focus on efficiency and being light weight. If you are the type of rider who wants to get a great workout and enjoy your neighborhood or local bike path, a fitness bike is the right choice. Dual sport bikes are a new and quickly growing segment of this category. The Dual sport bike is similar to the hybrid, in that it uses suspension. Where it differs from a hybrid is that they are designed for off road use. 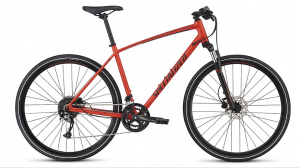 By changing the rider position, incorporating wider tires, and using disc brakes, these bikes excel on bike trails that are a bit more technical. If your adventure takes you off the beaten path, dual sport bikes are the tool of choice. Paramount to buying the right bike is trying them. Start with a bike that fits you correctly. Take it for good 10-15 minute ride to see how it handles. Ride it on hills and on some path if possible. Next try some other models that use different features. Test riding will quickly highlight the benefits of disc brakes, suspension, and tire sizes. Once you feel comfortable on a few bikes, try them back to back and figure out which is the right fit for you. 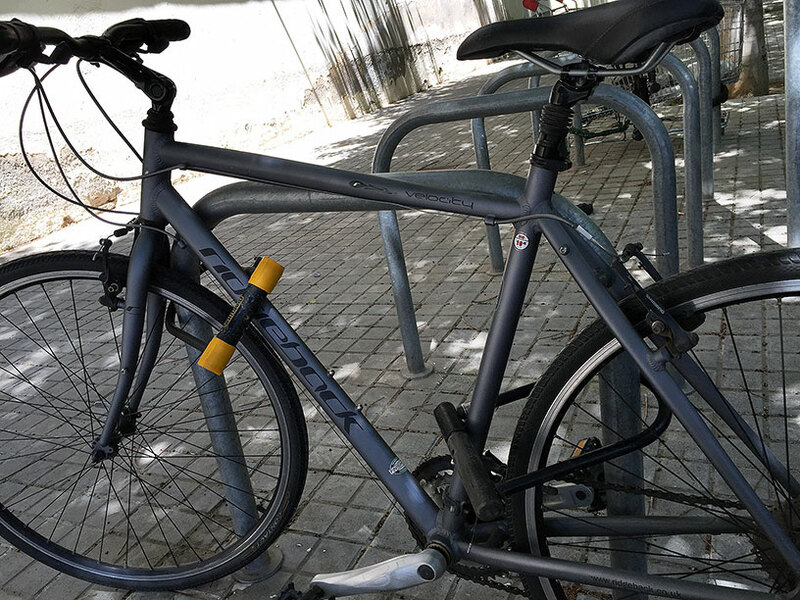 This entry was posted in News and tagged buying a bke, buying a hybrid, buying a path bike, casual riding, City bike, city bikes, hybid bikes, hybrid bike, hybrid bikes, hybrid buying, Path Bike, path bikes, Trail Bike, trail bikes on February 28, 2018 by John Brown. Recreational or competitive what is the right bike for your riding pleasure? How do you figure out what is the right bike for you? Like everything else in the world today, there are no shortages of choices when it comes to bikes. With that said, please read on for several helpful tips! Step one to the right bike, determine where you want to ride. –Road Bikes designed exclusively for pavement riding. –Path/Trail Encompassing everything from paved roads to dirt trails. –Off Road These bikes are designed for Mountain Biking offroad. Step two, how frequently do you plan on riding? 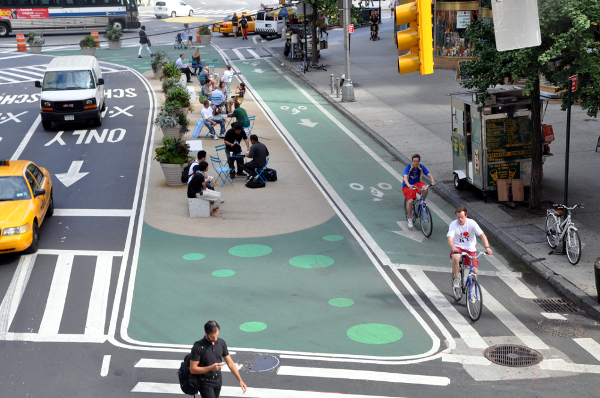 To get the right bike plan to spend as little as $300 and up in the neighborhood of several thousand. The most basic models use less durable materials like plastics rather than metals in the shifting components and mild steel rather than stronger alloys for the drive train and cockpit. As the price increases stronger materials replace less durable materials lending to a bicycle that will hold up better to frequent use. At a certain price (different for every category of bicycle), the durability doesn’t increase, instead the weight begins to decrease. A lighter bicycle is easier to control and accelerate (making for a more enjoyable ride). Determining how frequently you intend to ride against the bikes you are looking at will help you pick the right bike for your needs. Step three, why are you riding? Fun and fitness; speed and adrenaline; or competition all put different strains on a bicycle. Be sure to match your riding style with the bike you’re zeroing in on.. For fun and fitness, comfort is usually the foremost concern. By contrast, if you want to compete, comfort is often traded for efficiency. Step Four, What to ride. Once you figure out the “Where”, “How frequently”, and “Why” questions, only the “What” remains. 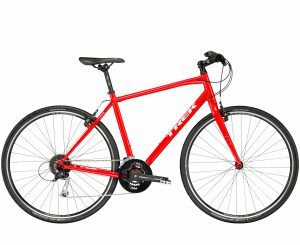 What is the right bike? First figure out the main category (each one has its own subcategories). As a rule, start with the three main categories Road, Path/Trail, MTB. Road Bikes are best suited on roads due to their narrow tires and designed with speed and efficiency in mind. Generally speaking, don’t let the narrow tire deter you. In essence, road bikes use narrow tires because pavement offers ample traction, so a wider tire only slows the bike down. Additionally, road bicycles are the lightest of the three categories. Some are equipped with flat handlebars, but most come with a drop bar. Overall, many riders love the speed and lightweight of these bicycles. Click for more info on Road bikes. Path/Trail bikes are the largest volume of bicycles sold and appeal to the largest riding audience. Ordinarily, these bicycles use an upright handlebar and a more comfortable seating position. The tires range from something narrow (a little wider than a Road Bike) to as wide as a Mountain Bike. Frequently, many are fitted with suspension designed to make the bike feel smother over rough paths. While not as quick as a Road Bike, these bikes offer great efficiency on longer bike tours. Click for more info on Path/Trail bikes. Mountain Bikes are designed for off road use and sport the largest tires of any category. Additionally, Mountain Bikes are equipped with suspension designed to keep the rider in control on rough trails. Mountain Bikes have low gearing so riders can pedal up steep grades or loose and rocky terrain. A lot of riders enjoy the stability and position of a Mountain Bike for Path/Trail riding as well as true off road riding. Click for more info on Mountain Bikes. To learn about the subcategories of Mountain, Path/Trail and Road bikes it’s best to visit your local bike shop and start taking test rides. As you test ride bicycles, the differences and your own preferences, become clearer as you ride more bikes. For your first test ride, try a bike that fits you properly, is in your price range, and is in the category you think you want. Pay attention to how much effort it takes to get up to speed, how quickly it turns, how stable it feels, and how comfortable you feel on it. When you try a second, third, etc. (typically I recommend you try the same type bike in a slightly lower or higher price point) compare them. Even with as few as three test rides you can begin to feel the differences between the bicycles. You will find that making a final decision on the right bike is easy after an day of test riding. In the case of Mountain bikes, many shops have Demo bicycles that you can take to your local trails for a ride. Riding a demo bike is a great way to get the feel for a bike on trail, but is best done once you have test ridden a few models around the shop and are closer to a decision. This entry was posted in News and tagged bike buying, bike test ride, Hybrid Bicycle, hybrid bike, Mountain Bicycle, mountain bike, Path Bicycle, Path Bike, right bike, right bike for you, Road Bicycle, road bike, Trail Bicycle, Trail Bike on February 12, 2018 by John Brown. Show season is at hand in the cycling industry and HaveFunBiking.com will be on the show floor. We are excited to try the newest product and deliver to our readers the most curated list of new products over the next couple months. On Monday September 18th , before dawn, we embark to Las Vegas to try countless bikes at Interbike’s Dirt Demo. 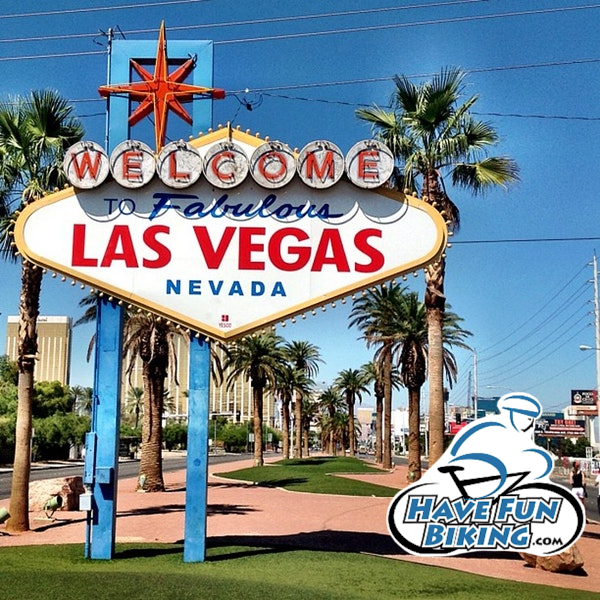 Following that, on Wednesday the 20th, the doors open to the last Interbike in sin city. Stay tuned to our Blog to see all the newest products and news from the show floor at HaveFunBiking. Interbikes’s Dirt Demo is a great way to try new product. Don’t worry, the fun doesn’t stop when we leave Vegas. Following the show we will be reviewing product we will see over the course of next week, so stay tuned. 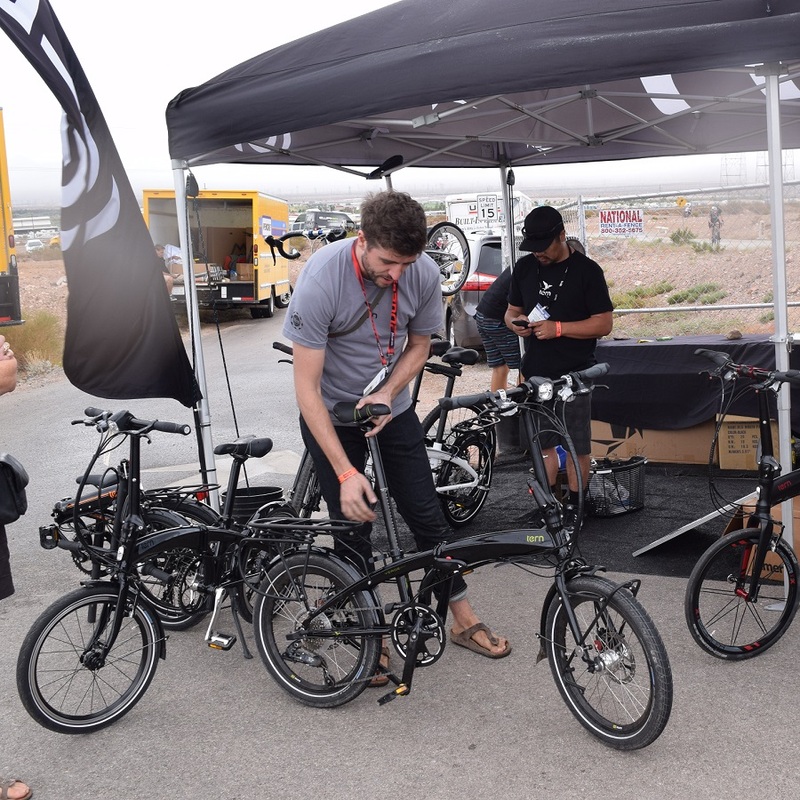 Here the manufactures from Tern Bicycles is showing and demonstrating the latest from their line of folding bikes out at the Interbike’s Canyon Demo location. Here a bike shop representative takes a fat bike out for a test ride so she can share the highlights with her customers. 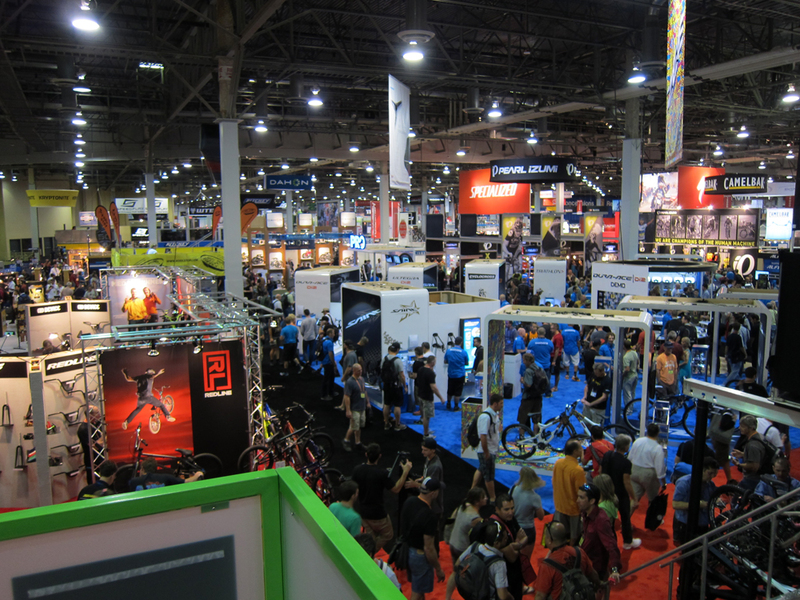 On Wednesdays Interbike official begins with several thousand exhibitors showing off their latest products in bike wear and fad. 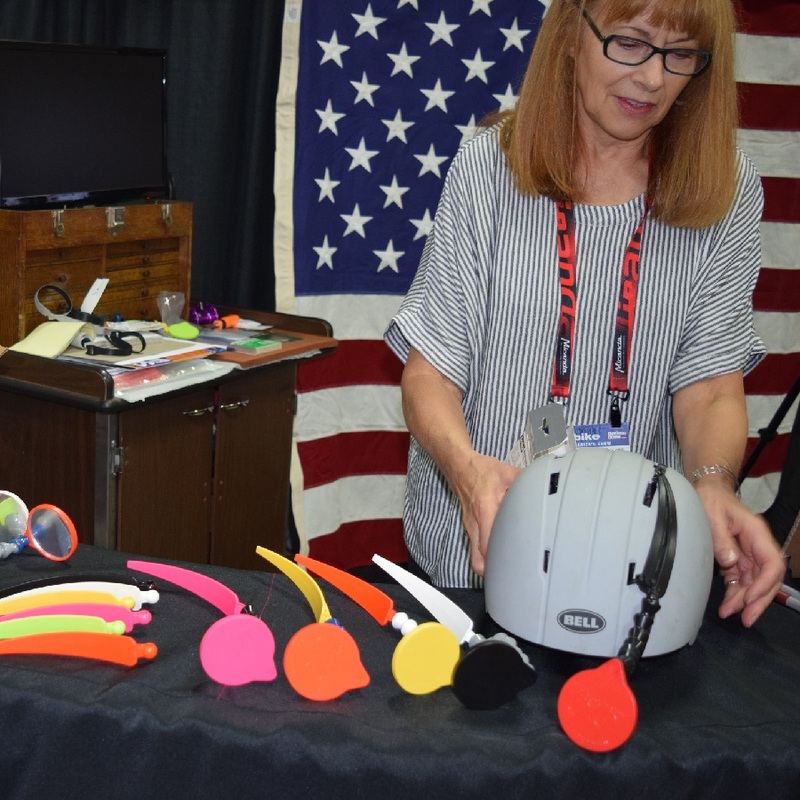 Miles of product at Interbike 2017! 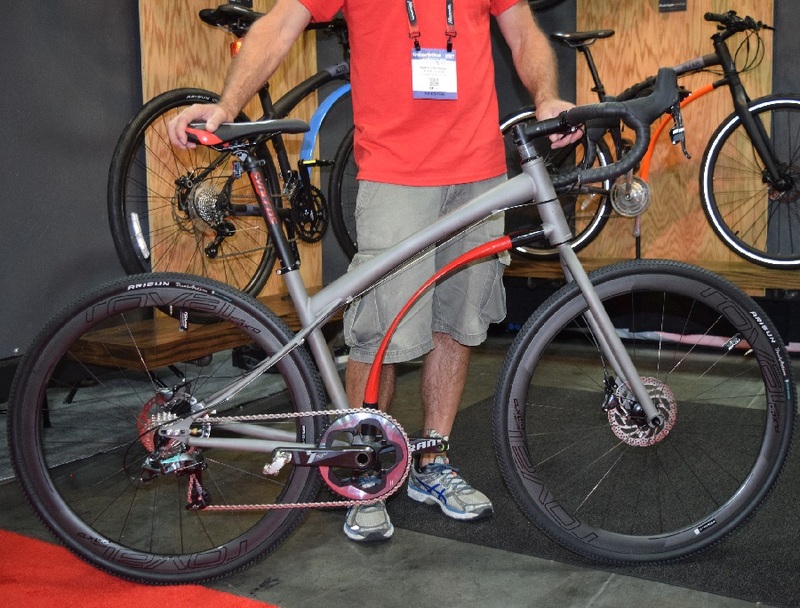 Here the manufactures of Alter Bicycles is showing and demonstrating the latest line from their their line of bikes at Interbike. Feel free to let us know what new products you want to hear about and what topics you need more info on. 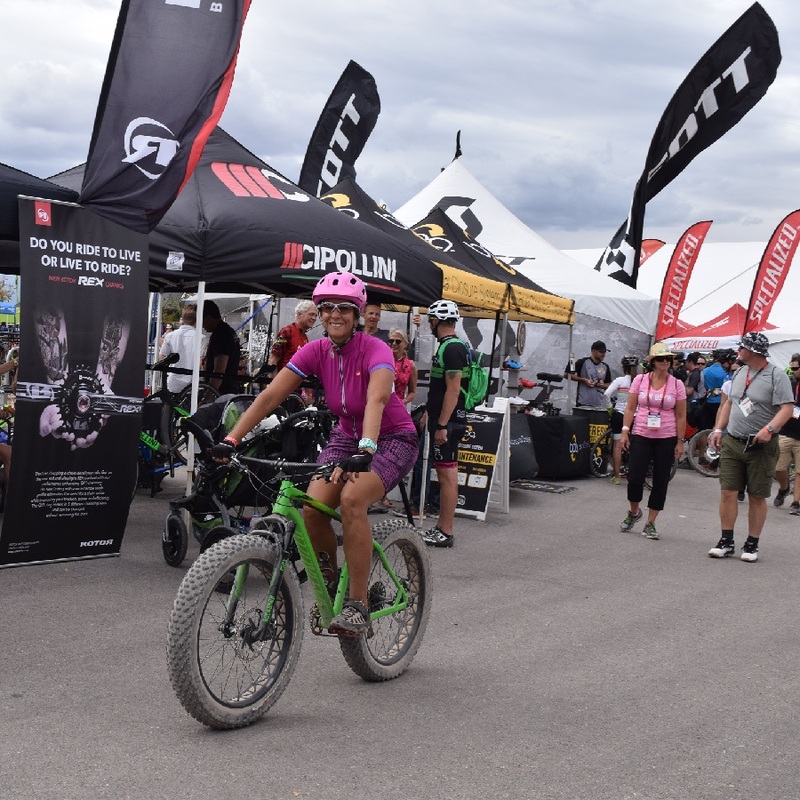 This entry was posted in News and tagged #mtb, Bike parts, Cross Vegas, Dirt Demo, hybrid bike, Interbike, Interbike dirt demo, Interbike2017, mountain bike, mountain bikes, road bike, road bikes on September 15, 2017 by John Brown. Disc brakes are taking over the cycling world. It is becoming more difficult to find a new bike without them and that’s for some good reasons. Disc brakes are more powerful, more consistent and more durable than a standard brake. With any new product there are new things you need to learn and here are a few tips we would like to share. Just because your new bike has disc brakes, doesn’t mean that everything is new. In fact, the skills you learned to take the wheel off your old bike with rim (pad) brakes are still completely relevant. Specifically, if you know how to operate a quick release, you can take the wheel off a bike with disc brakes. Consequently, with a disc, there is actually less to worry about than with a standard rim brake. However, if you don’t know how a quick release or thru axle works, read below. A quick release allows you to remove your wheel without tools. 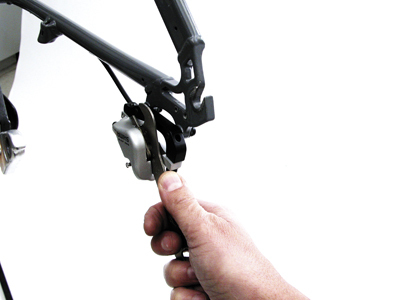 Moreover, the quick release is installed through the center of your wheel allowing you to clamp the wheel into the bike. Basically, a quick release is a very long bolt with a cam lever on the end. 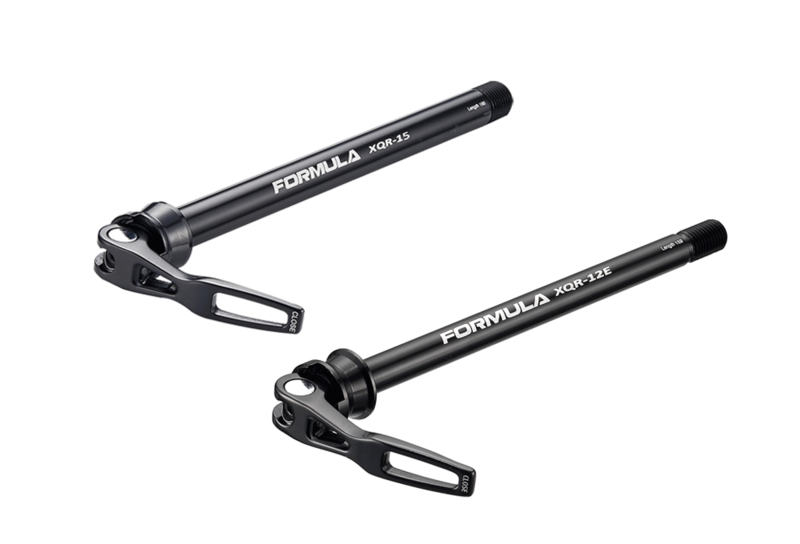 It’s the cam lever that gives the quick release its powerful clamping force. To remove your wheel, simply flip the lever open, and remove the wheel. If it’s a front wheel, you will also need to unthread the quick release nut on the opposite side from the lever. Flipping the lever open widens the quick release. This action is what gives a quick release it’s clamping force. 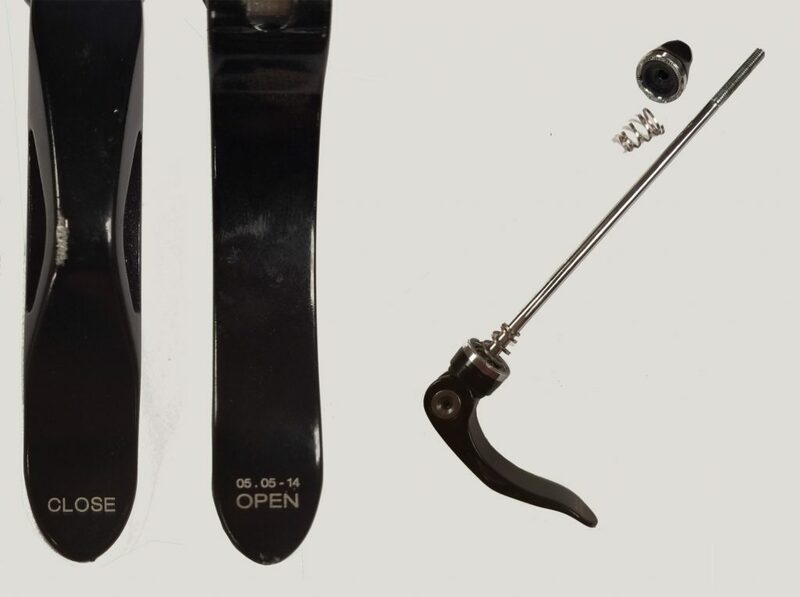 Quick release levers are marked “open” and “closed” on the lever. Be sure to always close the lever when tightening the quick release lever in place. If the wheel is tight, and you can read “open” the quick release lever is not installed properly. Thru axles work similarly to quick release levers. The main difference is that a thru axle needs to be threaded out of the frame and removed completely for the wheel to come out. Consult your bike manufactures manual for the details on how to remove your thru axle. Thru Axles slide through both frame and wheel and thread into place. So what is difference between mechanical or hydraulic disc brakes? When it comes to removing a wheel, the main difference is knowing if your disc brakes on your new bike are mechanical or hydraulic disc brakes. The differences come with the way that lever force is transferred to the caliper or pad around the brake disc rotor. At one end there is a cable that operates the brake system, sometimes referred to as mechanical disc brakes. In contrast hydraulic disc brakes use a sealed, fluid filled system as the means apply pressure. In the case of the mechanical disc brake you don’t need to worry about anything. You can open the quick release and remove the wheel with no other issues. For hydraulic disc brakes, you only need to take care not to squeeze the brake lever if the wheel is not in place in the bikes caliper. You shouldn’t squeeze the lever without a disc rotor in place. This is because of hydraulic disc’s auto adjusting pad (caliper) wear valve. If you make the mistake of squeezing the lever without a disc rotor in place. The valve adjusts as if you just wore through 3mm of pad material (the thickness of a rotor). If this happens, don’t worry, just get a flat piece of clean, oil free, metal to pry the pads back apart again. Even if you spread those pads too far out, once the rotor is back in, a few squeezes of the lever will get the brake adjusted properly again. When replacing the wheel on a disc bike, there is one new detail to take into consideration. Generally speaking, the wheel fits into the bike normally. Just verify that the rotor is inserted into the caliper (pad) properly. For instance, if the rotor isn’t centered into the caliper, it will rub. Therefore, verify that the wheel is centered in the bike straight. 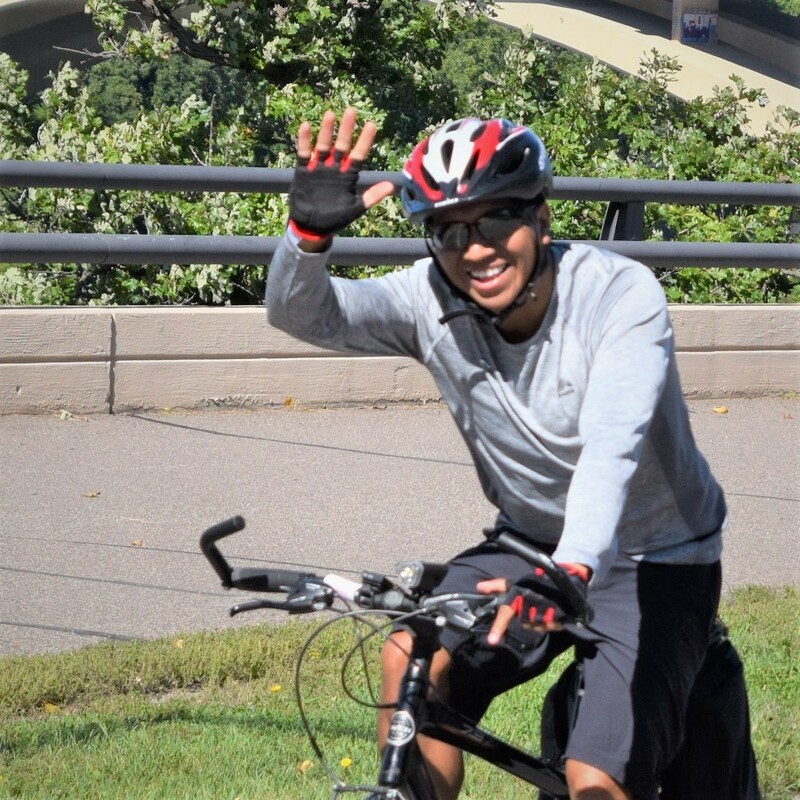 This entry was posted in News and tagged Bike Guide Minnesota, caliper brake pads, Disc Brakes, disc brakes bike, disc rotors, Formula, Hayes, Hope disc, hybrid bike, Hybrid disc, mountain bike, MTB disc, Quick release axle, road bike, sram, Tektro, thru axle on September 12, 2017 by John Brown. Now that the kids have gone back to school, the days are getting shorter and temperatures begin to drop it is the best time of year to ride your bike. From a trail perspective, the dirt becomes softer as the fall rolls in because of lower temperatures and increased rainfall. Additionally, riding off road in the fall is a beautiful way to enjoy the change in foliage. That doesn’t mean you can’t enjoy the leaves changing if you choose to ride on the path or road. In fact, great fall rides often have specific vista points built into the ride. With all the great things about riding through the fall there are some dangers as well. Read on to learn how to enjoy the fall riding season safely. Those beautiful fall colors are enjoyable, but also a sign of falls largest hazard. 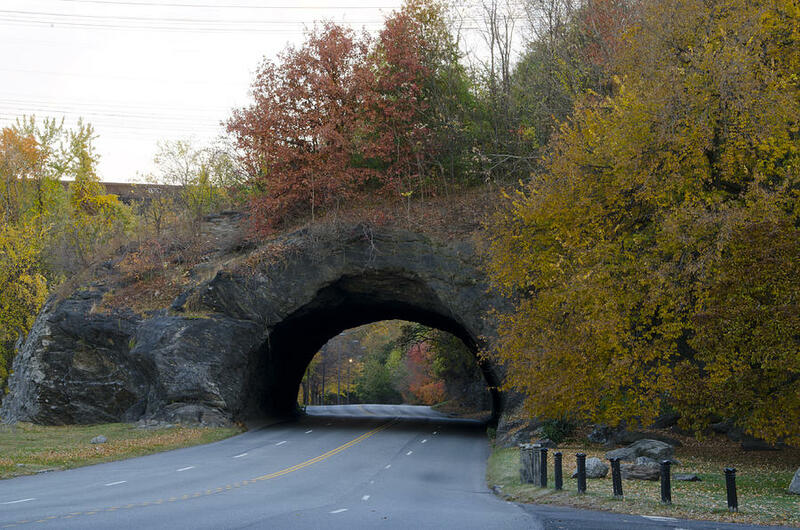 Falling leaves that mix with fall rains begin to break down and decompose on road surfaces. What is left behind is a slick slurry of organic matter perfectly suited to eliminate traction and cause a crash. As you ride in the fall, avoid riding too far off the edge of the road. Likewise, don’t ride too far into the middle of the road where leaves tend to accumulate. The same problems with traction and decomposing leaves exists off road, but it’s not as large an issue as on the road. Thanks to the soft dirt and rough surface, riders have a better chance of finding traction when the leaves get wet. What you should be on the lookout for is what you can’t see. Makes total sense, right?! Whenever you are on a trail that has fallen leaves, objects can hide in those leaf piles. As the days get shorter, you need to be concerned with being seen in low light situations, that’s where proper lighting comes in. Lights, no matter your level of bike riding skill, are essential to make sure you have the safest ride possible. 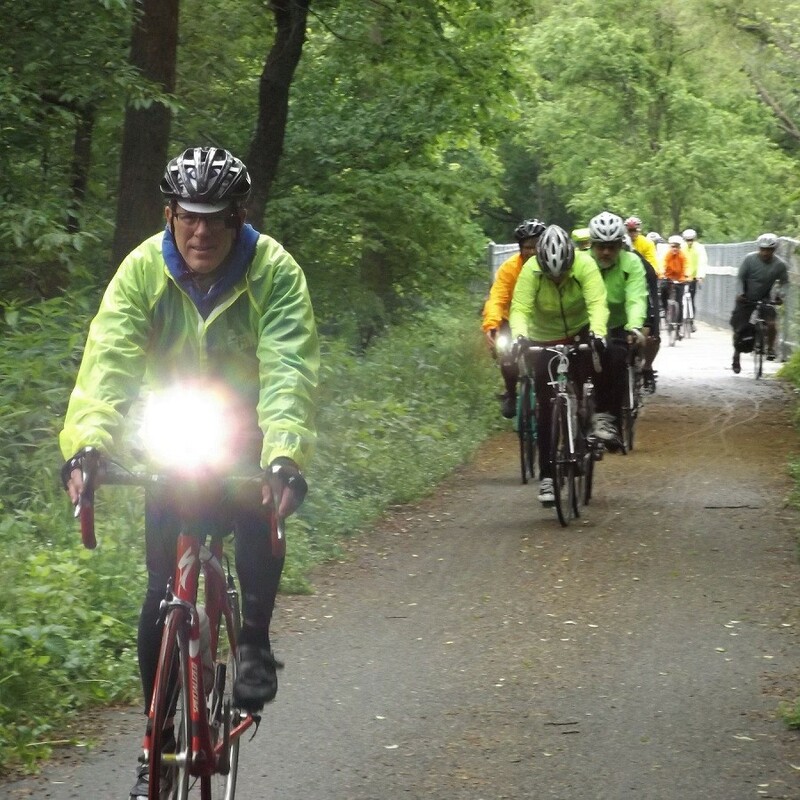 Plus, most states require bike lights to ride on a roadway (here is Minnesota’s law). The two types of lights on the market are lights that allow you to see, and lights that allow others to see you. A great side effect to the shortened days is going for night rides with your mountain bike. Night riding was first born out of the necessity of riding, but has quickly become a fun part of the sport in and of itself. With this in mind, get yourself a high output light, strap it to your bike and head into the woods. In the long run you will see that riding at night changes how you see your local trails, and makes then new and fun. Universally across on or off-road riders, the fall brings colder temperatures. To combat these temps you want to dress accordingly. Early fall rides force us to break out the arm and knee warmers, with long sleeve jerseys marching quickly behind. When dressing for colder weather, be sure to not overdress. Being too insulated will cause you to sweat past your cycling clothings ability to move moisture. At that point, you get wet, and cold, which defeats the purpose of wearing more clothing. 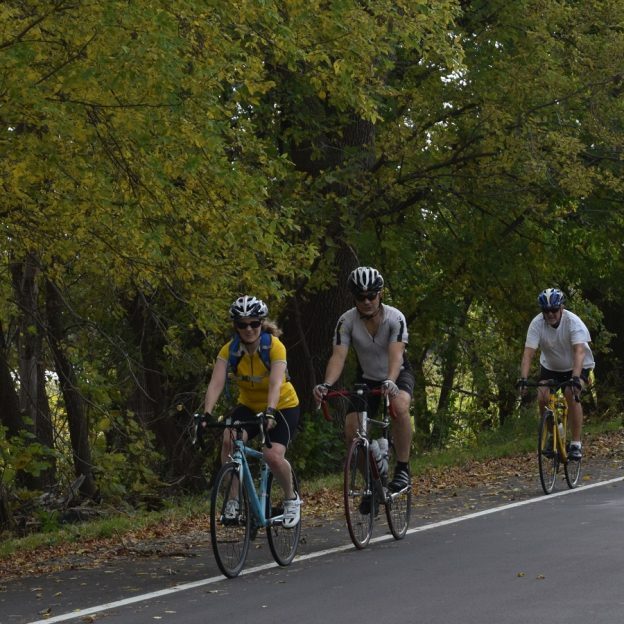 Many charity rides are scheduled through the fall because of its great weather, and ambient beauty. One event type that is completely exclusive to fall is the sport of Cyclocross. What is Cyclocross you ask? Well, the best way to describe it is it’s just fun. 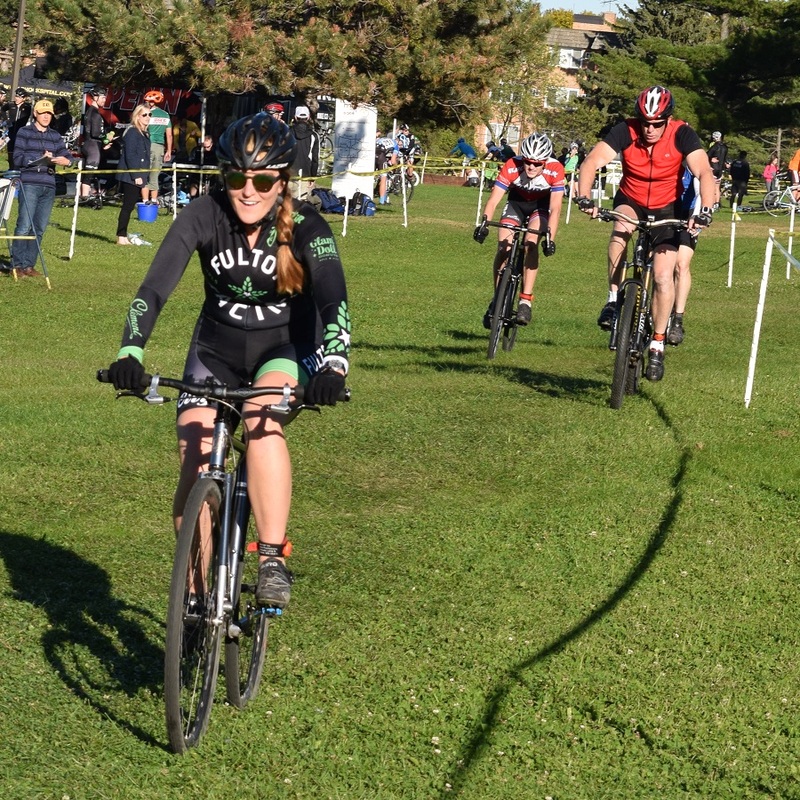 A Cyclocross race is a timed (30,45,60 minutes) event that covers a one-mile course including, road, off road, grass, and sand sections with manmade and natural barriers. The best part of Cyclocross is that spectators can enjoy the action easily. Additionally, Cyclocross races are very family friendly and usually include things like food trucks, kids bike rodeos, and beer tastings. How ever you decide to spend you fall, try and spend it outside on your bike. The Fall is a great time to get back on the bike, steal a few more hours in the saddle, or enjoy natures last show before the winters long sleep. This entry was posted in News and tagged charity rides, falll colors, fun bike photo opportunities, HaveFunBiking, hybrid bike, Minnesota Bike/Hike Guide, Minnesota Off-Road Cyclists, Minnesota trails, Mississippi River Trail, MN Bike Guide, mountain bike, off road hazards, riding in the fall, road bike, Road Biking Minnesota, road hazards on September 9, 2017 by John Brown. 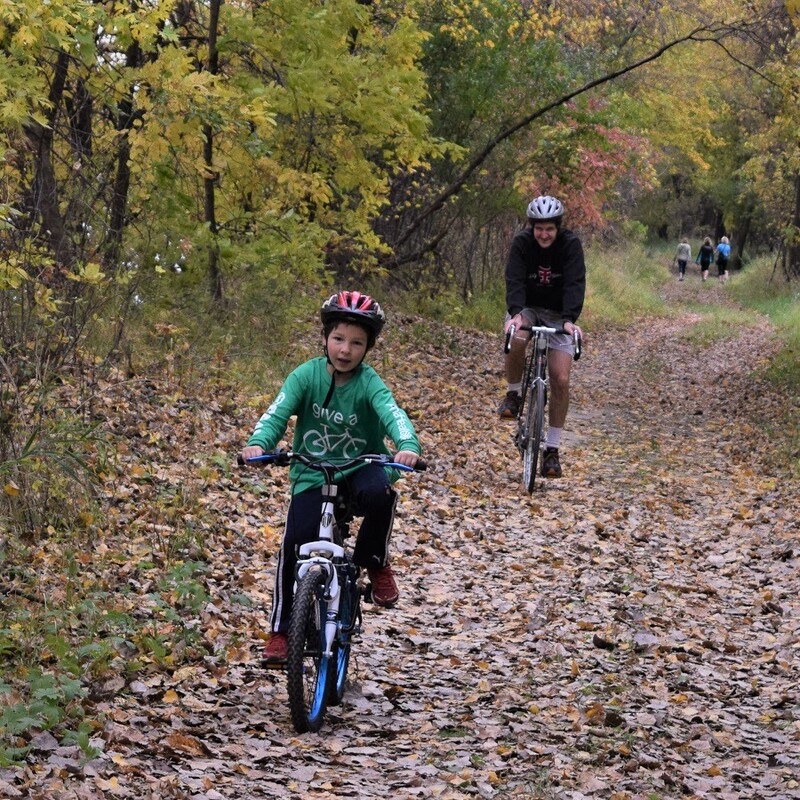 In the western part of Bloomington Minnesota over 1,000 acres of parkland act as the Twin Cities best destination for active families, recreational riders, and beach goers. 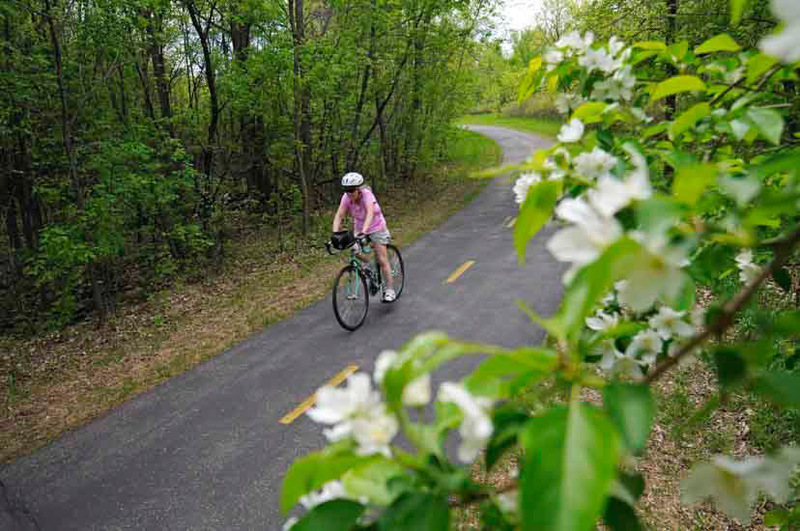 The Hyland Park Reserve encompasses over 8 miles of paved bike path, A family friendly beach, breathtaking prairies, a Ski resort, seven miles of cross country ski trails, a spectacular playground, and countless other attractions. Read on to learn about what possibilities you could explore. While not a loop, the trail system in Hyland Park is well laid out to get you to every corner of the park. However, there are small loops within the trail system. The trails in the southernmost part of the park loops around through dense forest and winds along the Hyland Lake. As you move further north, the trails navigate through the most developed portion of the park, passing the Shoots and Ladders Playground and the visitor center. While traveling north, Hyland park reveals it’s true beauty while sending you through vast prairies. In the northernmost part of the park, the trails pass under the shadow of the Hyland Ski and Snowboard area. 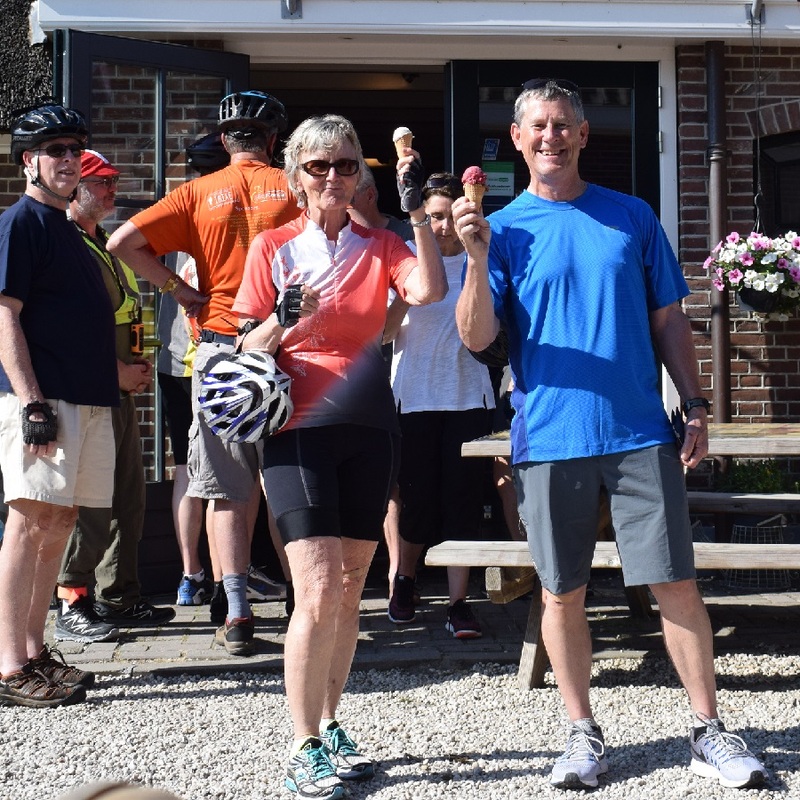 Even though the trails pass through very different topography, they all are well maintained, relatively flat, and wide enough to offer comfortable riding for all ability levels. The Hyland Ski area is a downhill ski area with two terrain parks, Ski jumps and a park featuring an 18-hole disc golf course. 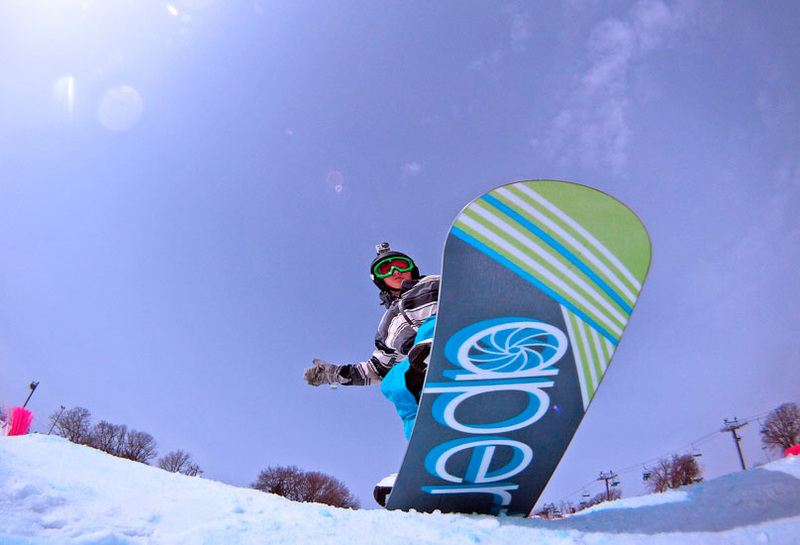 Through the winter, it is a popular place for lessons and cold weather sports for metro area residents. In the summer, the park periodically operates it’s lifts for mountaintop concerts, bonfires and general outdoor merriment. Tucked into the middle of Hyland Park is the most amazing playground you could imagine. It’s tallest 3 story tall tower soars over scores of other structures amassed to put your kids in a state of playground frenzy. Most surfaces are covered in soft rubber, woodchips, or sand offering safe areas for kids of all ages. The park is open to all two-legged creatures, but please leave your four legged friends at home. Additionally, when the mercury rises Shoots and Ladders has a water misting play area for the kids and enormous umbrellas over the picnic areas for he parents. 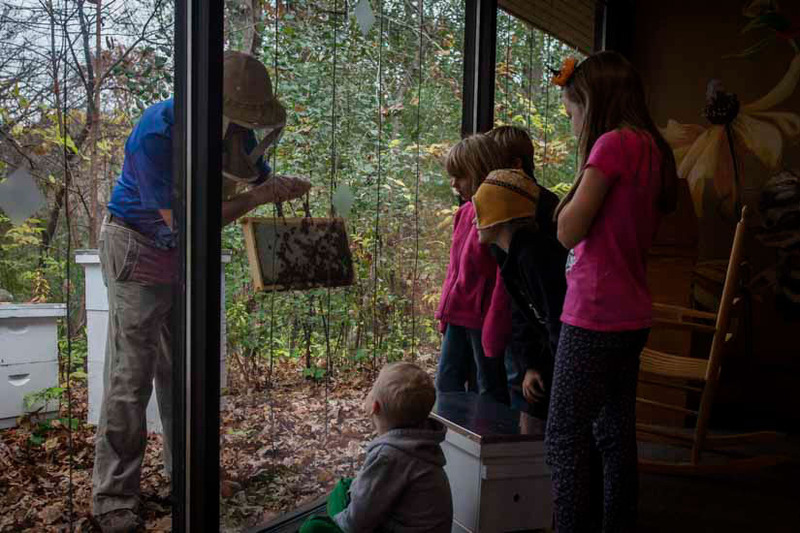 Hidden in the dense foliage of Hyland Park is the Richarson Nature Center, a stunning natural gateway for visitors young and old. After parking in their ample lot, stroll a few feet down the path up to the nature center. The center is a two story home to Raptors (upstairs) and amphibians (downstairs). They have classrooms and events in the center throughout the year for anyone looking to learn more about the ecosystem. One of the best parts of the Richardson Nature Center is the kids park they have cleared just down the path. In an open area of forest, kids can build forts and structures with deadfall collected from around the park. While not technically in Hyland Park, Bush Lake Beach sits adjacent to Hyland. It is a man-made sand beach on the east shore of Bush Lake. The entrance to the beach just off East Bush Lake Road and just south of the Richardson Nature Center. Through the summer season, you can purchase a one day or season pass for parking. The Aquatic Center at Bush Lake Beach has a snack area and great bathroom amenities. What is best about Hyland Park is the number of events it has. 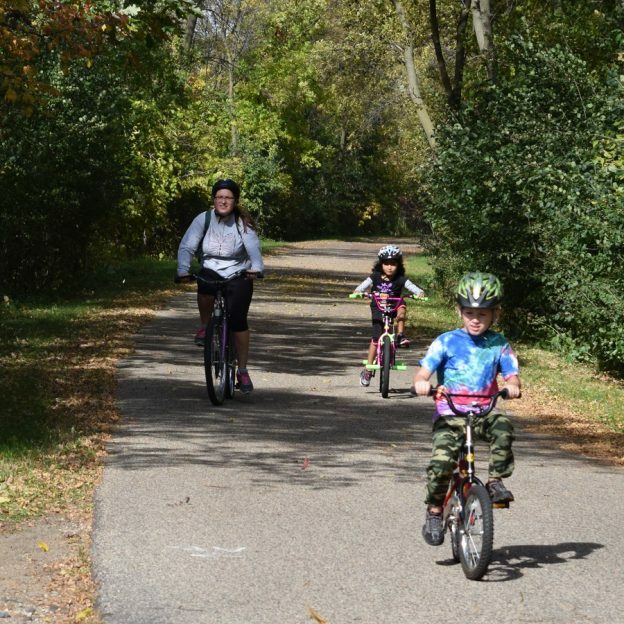 Throughout the year Hyland Park schedules outdoor and indoor fun for every kind of nature lover. I’ve enjoyed the “Movie Nights on the Hill” a few times and the 4h of July celebration is spectacular. I strongly recommend making the Hyland Park your first stop, when planning an outdoor excursion. Find more information about this park and the many other fun activities Bloomington has to offer, here. 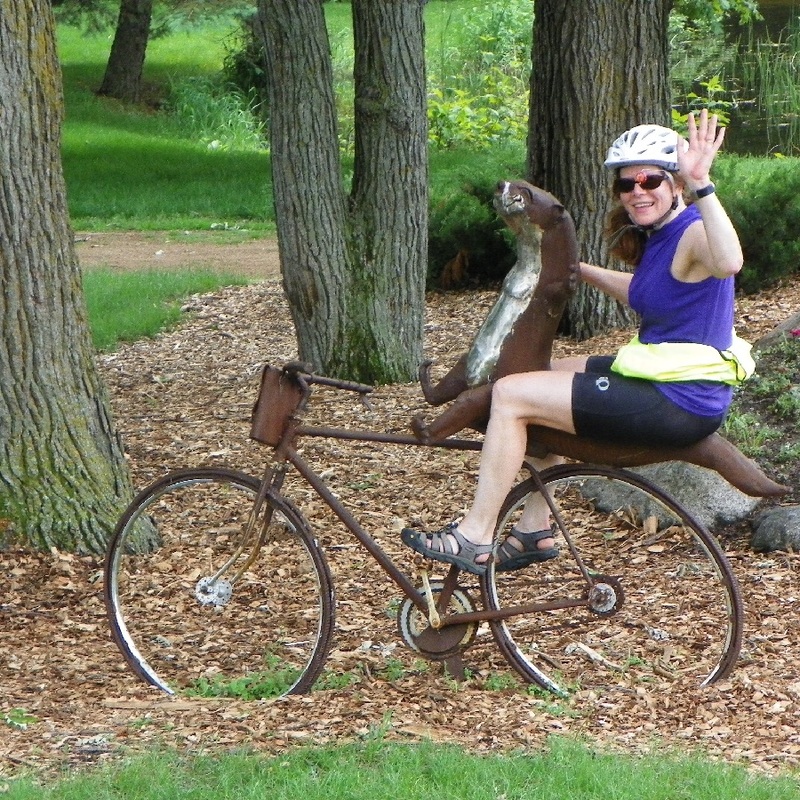 This entry was posted in News and tagged #bicycle, #nextadventure, Bloomington MN, Bush Lake Beach, hybrid bike, Hyland PArk, Hyland Ski, Minnesota Bike Guide, Minnesota trails, MORC, Richardson Nature Center, road bike, shoots and ladders playground, Twin Cities Gateway on August 31, 2017 by John Brown. Nothing spoils a great ride like a bad accident, but most accidents are avoidable. The easiest way to eliminate accidents is to assess road hazards in advance and avoid them. Read on to learn about the most common road hazards and how to manage them. The easiest road hazard to spot is broken or uneven pavement. Oftentimes starting at the roads edge (where many of us ride), pavement begins to break and crumble from annual hot/cold cycles. The first and best option is just avoid loose sections entirely, but anyone can tell you that’s not always possible. 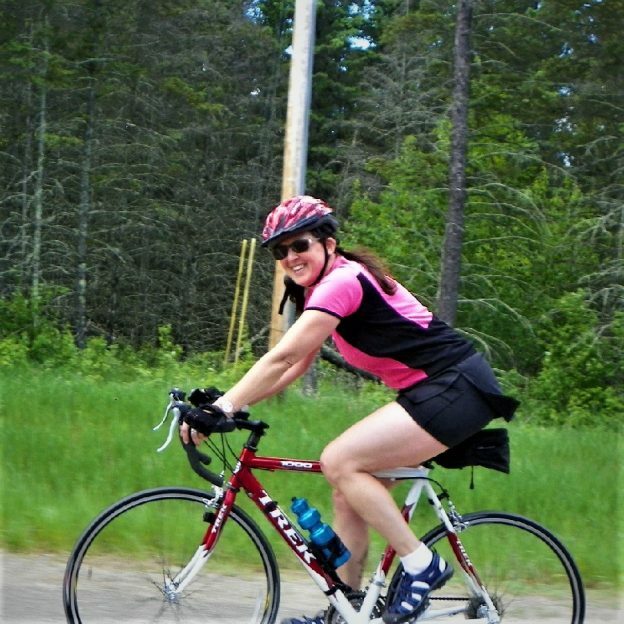 When you are riding through bad pavement, try to raise your body off your saddle by an inch or so and allow your legs and arms to absorb impact. Concentrate on being loose, allowing the bike to move around underneath you, and keeping your momentum directed to where you want to go. Focusing on where you want to go is the most important part, focusing on objects you don’t want to hit increases the chance of hitting them. Sometimes the road narrows, and doesn’t allow for you and drivers to occupy the road together safely. In these situations, it is important to take control of your safety. Do not try to be off to the side as far as possible, this will only encourage drivers to attempt to make an unwise pass. Instead, give yourself space on the road, and try to be as visible and deliberate as possible. Narrow roadways are the ideal place to use hand signals. Additionally, be aware of what is behind you by looking back more frequently than usual. Looking to see who is behind you will give you the information you need, and let drivers know that you see them. Oftentimes drivers will be more patient if they know you are aware of the situation. You can’t easily avoid what you can’t see, especially if you are going fast. When approaching any blind road or path section, slow down and assume there is someone coming around the corner. Approach the corner with caution, and only accelerate once the coast is clear. 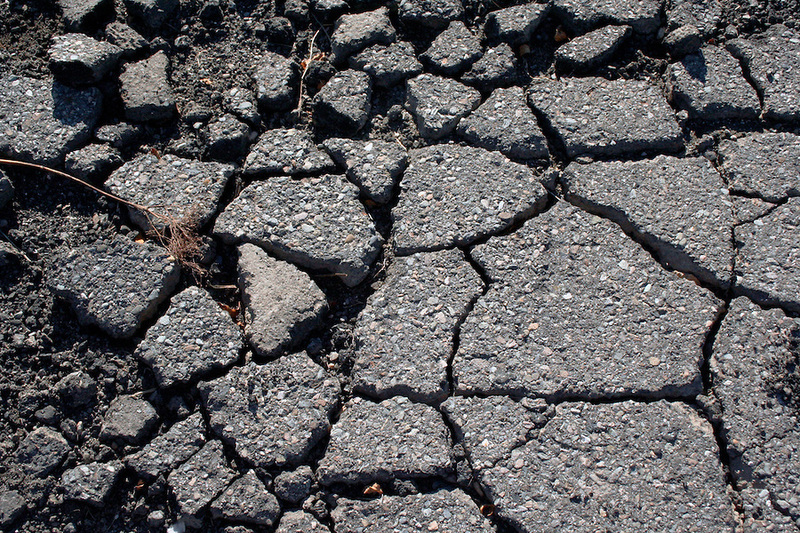 Sand, Gravel and dirt on pavement can be a recipe for disaster. Any loose debris on the road robs you of the traction you need to ride confidently. Shy of vacuuming every road or trail before your ride, there is no way to avoid the inevitability of debris. What you can do however, is use good judgement when you do encounter it. First, don’t slam on the brakes. Braking shifts your weight forward onto the front wheel making you more unstable in loose conditions. Instead, apply your brakes gently and evenly while trying to remain loose on the bike in case your tires break free. Second, try to keep the bike as vertical as possible and turn only if necessary. Water and its colder cousin ice are a serious road hazard. You will find that roads and paths that are wet offer far less grip than when dry. Therefore, keep your overall speed down on wet days and brake before turning. If ice is in the forecast, the best measure is to avoid it. Start by ditching the polarized sunglasses that will make the ice difficult to see. Polarized glasses eliminate most glare, and glare is a prime means to identify ice. If you do find yourself on ice, be careful! 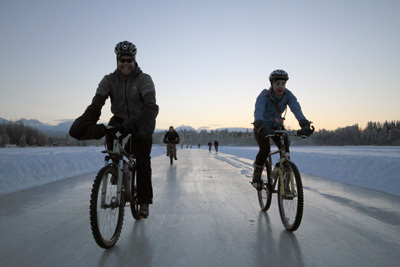 It takes almost no side motion to put you on the ground when riding on ice. I find it best to do almost nothing until you make your way off the ice, that means no braking, no turning, no movement, Just coast. The last set of road hazards worth mentioning are slick surfaces. These surfaces include metal (train tracks, manholes, and sewer grates), painted pavement, and smooth aggregate (like marble or tile often found in industrial zones). For metal, try to avoid it when wet (it’s as slick as ice) and cross train tracks as perpendicularly as possible. Painted surfaces and smooth aggregate need to be avoided when wet as well. While they have more traction when dry, it’s still worth being careful. After reading this, you may feel like everything on the road is out to get you. Nothing could be further from the truth. In fact, you have probably encountered all these hazards on your last ride and survived. Overall, road hazards rarely cause an accident but are something to be cognizant of. 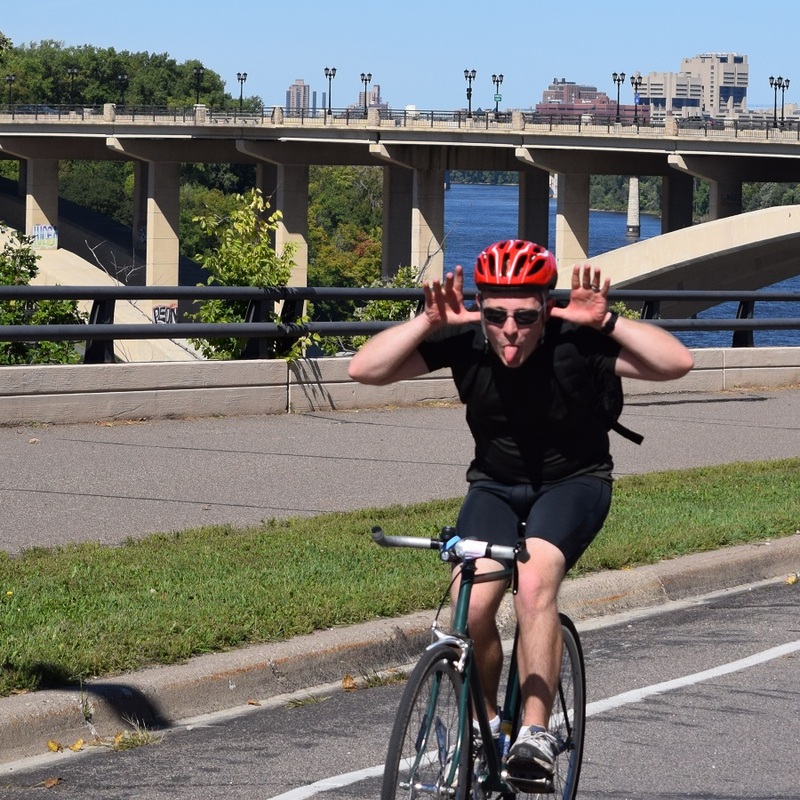 This entry was posted in News and tagged #FindYourNextAdventure, AAA, group ride, hybrid bike, Minnesota Bike Guide, Minnesota Ironman Bike Ride, Minnesota trails, Mississippi River Trail, Mountain Biking, mountain biking fun, Ride My Bicycle, riding safely, road bike, Road Biking Minnesota, road hazards, road riding, safe riding on August 26, 2017 by John Brown. It goes by many names, the rear derailleur. It is also known as the “s,” the “hangdown,” or the mech. Here in the U.S. we refer to it as the rear derailleur. The device that moves your bike’s chain from gear to gear letting you traverse hills with ease. Even though derailleurs are sturdy and relatively maintenance free, they do require attention occasionally. 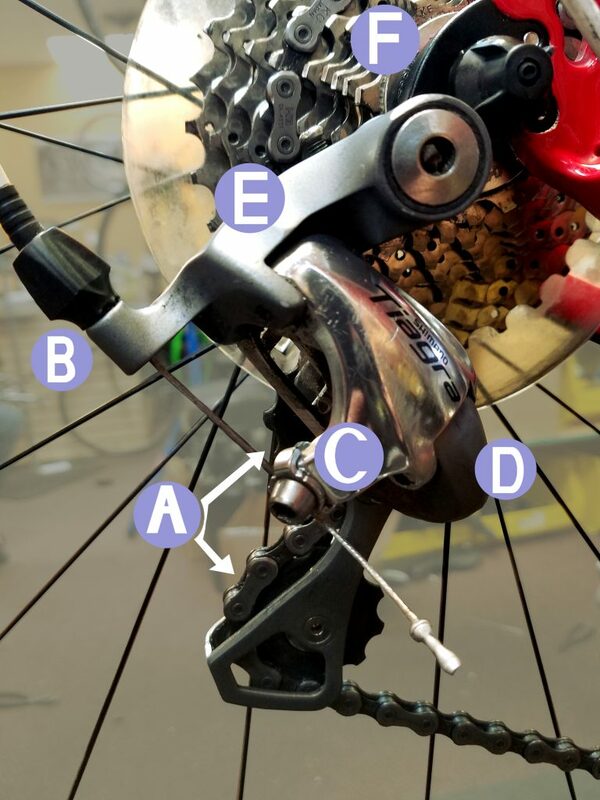 Look below for the step by step instructions on how to adjust your bike’s rear derailleur. Twist shifter – A shifting device that rotates around the handlebar like the throttle of a motorcycle. Trigger shifter – A Shifter that activates by pushing or pulling a set of paddles with your thumb and index finger. STI shifters – Technical this stands for Shimano Total Integration and speaks directly about one brands type of road bike shifter, but it has become the generic term for any drop bar shifter/brake lever combo. 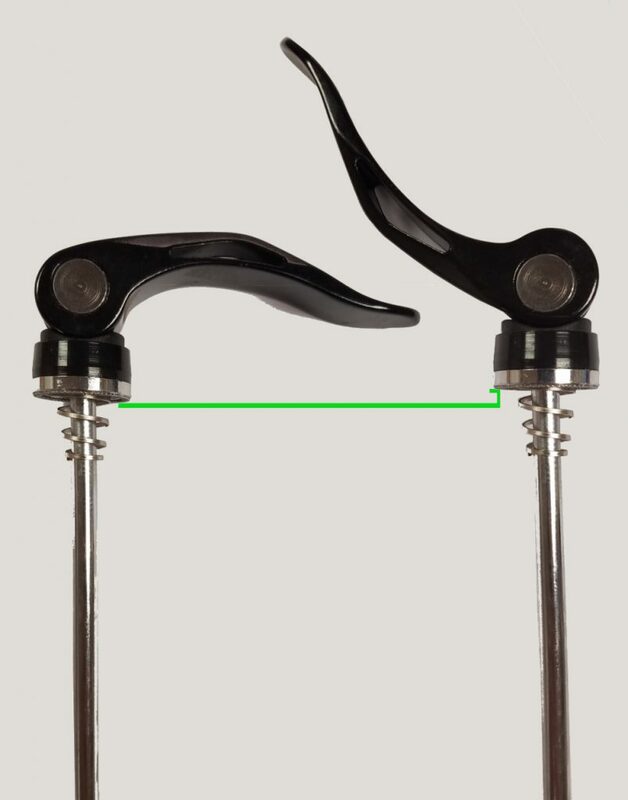 Thumb shifter – A shifter that can be mounted in many places like; the stem, bar end, brake lever, or top of the bar. These shifters are the most rudimentary type of shifter, and operate by simply actuating a lever with your thumb. Limit screws- The limit screws control the area of motion a derailleur has. On most derailleurs there are three limit screws: the upper limit, Lower limit, and B-limit. 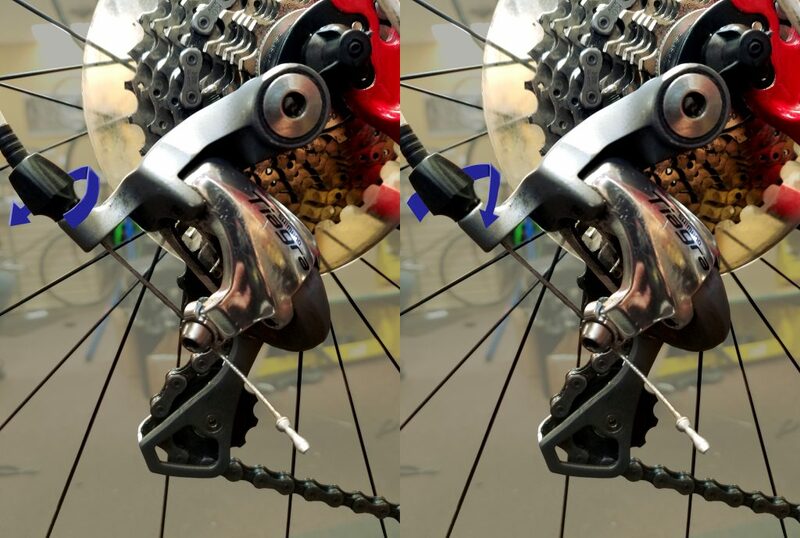 The upper limit screw sets the maximum distance the derailleur can shift in high gears. The lower limit screw sets the maximum distance the derailleur can shift in the lower gears. The B-limit screw sets the distance the upper jockey wheel sits from the cogs. (B) Barrell adjuster – This is an adjustment device on the back of most derailleurs. 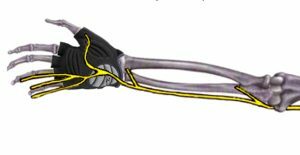 It is the area where the derailleur cable enters the derailleur and can increase or decrease the cable tension by threading it in and out. (C) Pinch bolt – The pinch bolt is where the derailleur cable gest secured. (F) Derailleur hanger – The portion of the bike frame where the rear derailleur is mounted. The cogs your rear derailleur shifts across can have as little as 2.14 millemeters of spacing between them. 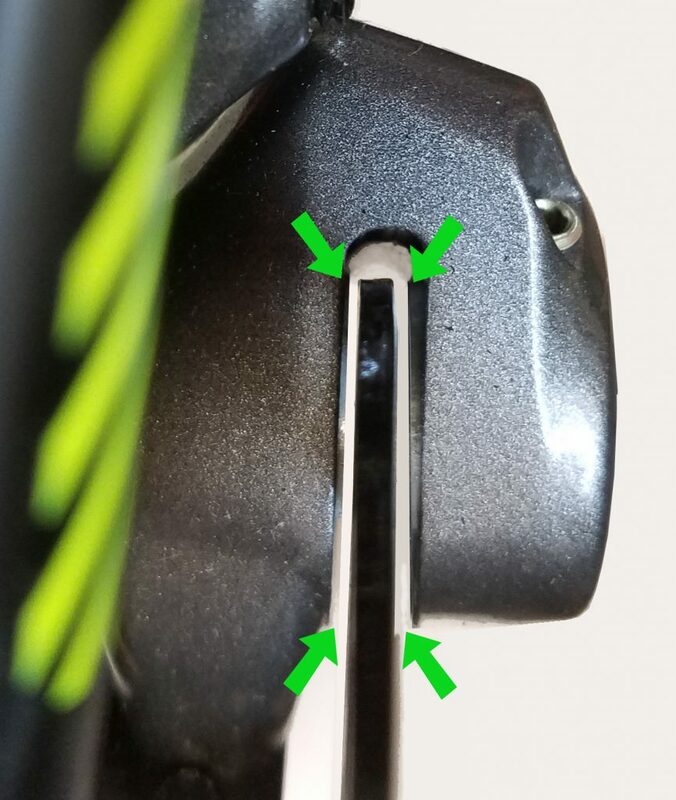 Considering the spacing is so narrow, look to see that everything is aligned properly before you start adjusting your rear derailleur in vain. Look first at the derailleur itself from behind. 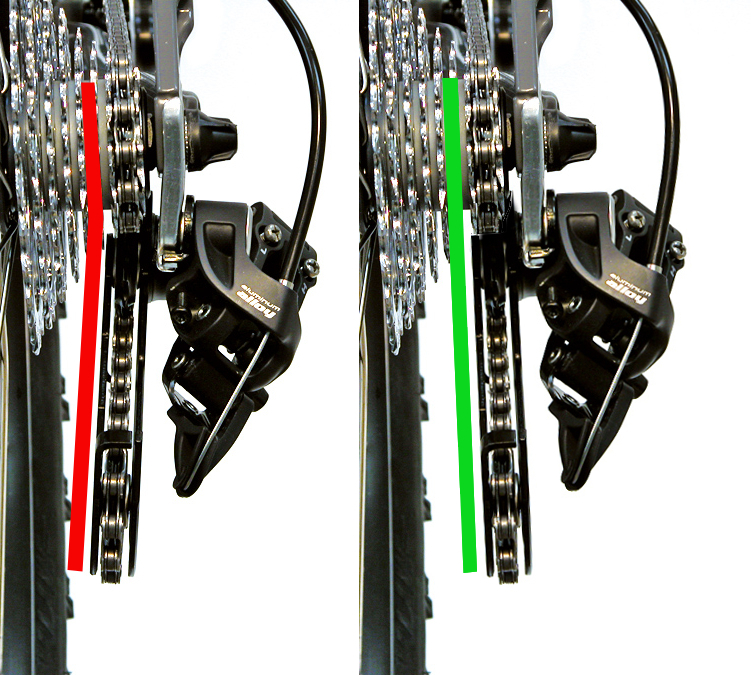 You should be able to see if the derailleur itself is aligned properly. A tell-tale sign of damage is when the two Jockey wheels don’t line up with the cogs or each other (see picture). Next assure that the derailleur hanger is aligned properly. 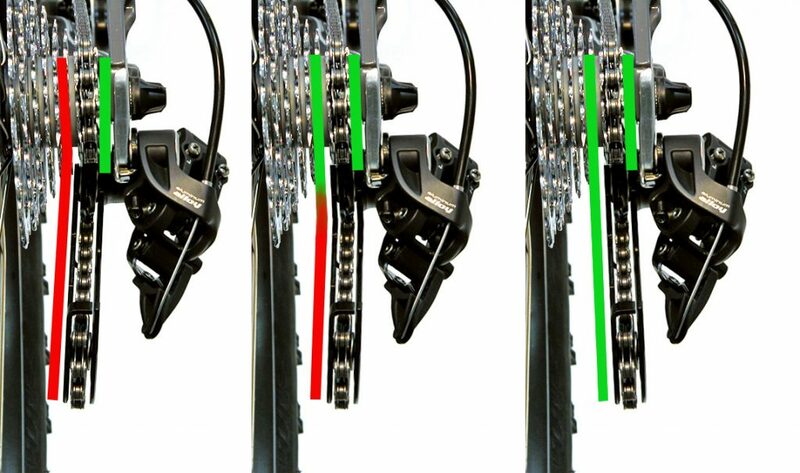 This is easily seen when the derailleur appears straight, but not in line with the cogs. Consequently, if either the derailleur or derailleur hanger are bent, it’s best to take it into your local shop for a remedy. Before attempting to adjust the derailleur properly, set its usable range. First, loosen the pinch bolt and let the derailleur run on the smallest cog. Next, pedal forward while visually and audibly inspecting how the chain runs on the smallest cog. The chain should run smoothly without any clicking, or skipping noises. If it runs smoothly, don’t worry about the upper limit. when you do experience skipping or noise, look closely at how the chain runs on the cog (looking from behind is easiest). If the chain isn’t coming directly off the upper jockey wheel and going straight onto the small cog you need to adjust the upper limit. 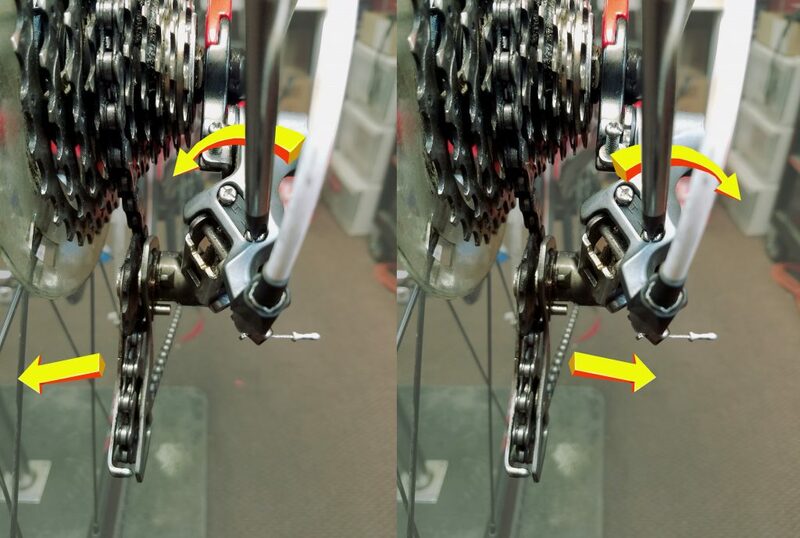 By threading the limit in or out you can adjust where the derailleur sits in relation to that smallest cog (note: the limit screws don’t need to get “tightened” down, they simply act as a stop for the derailleur). Once the upper limit is set, pedal forward and push on the derailleur lower knuckle until it moves the chain into the largest cog. If the chain has issue getting into the largest cog, or jumps over that cog into the wheel spokes, you need to adjust the lower limit screw in a similar fashion to the upper limit screw. With the limits set, you can now move on to tightening the cable and trying to shift. Make sure the shifter is in its lowest gear by shifting down while gently pulling on the shift cable. With the shifter in its lowest position, ensure all housing ends are settled into the frame properly then pull the cable taught through the derailleur. With the cable taught, tighten the derailleur pinch bolt onto the cable. Trim any excess cable so that only about one inch of cable extends beyond the pinch bolt and crimp it off as not to fray. While pedaling, shift one gear up. Ideally, the chain will easily move from the smallest cog up to the next cog. It should stay on the second cog and run quietly and smoothly. If it hesitates to get to the second cog, increase cable tension by rotating the barrel adjuster out. If you cannot increase tension enough with 3 or 4 turns of the barrel adjuster, thread it back in, loosen the cable pinch bolt, pull the cable taught, and tighten the pinch bolt again. Once you have the chain shifting up the cogs easily, check to see if it will smoothly move back down the cog stack by shifting from the largest cog down and inspecting. The only difference is in the adjustment. If the chain hesitates to move down the gears, turn the barrel adjuster in (relieving cable tension). What happens if you can get the chain to move up the cogset well, but can’t get it to move back down the cogset easily. In some cases, the cable and housing can be corroded and causing drag. This drag won’t affect the shifting moving up the gear set, but it will stop the derailleur from returning. In tis case, you can clean and lube the cables and housing, or just replace the cable and housing all together. Additionally, there may be a grinding/banging noise in only the largest cog. That noise is caused by the upper jockey wheel running on the largest cog. To remedy this, tighten the b-limit screw until the noise subsides. Finally, a common problem is if you get skipping while pedaling up steep grades or under load. If your derailleur is adjusted properly, and you’re getting skipping, it may be related to a worn out drivetrain. As your chain ages, it stretches slightly. As the chain stretches, the front face of the gears will wear in unison with the chain stretching. Once the chain stretches beyond the point where it will mesh with the gears, you will experience skipping under load. Working on your own bike is fun. Also, your appreciation for the technology and engineering that goes into what is considered a simple machine will grow with each turn of the wrench. Periodically, you will run into a problem you cannot solve. If that is the case, bring your bike to your local shop, talk honestly with the mechanic about what you tried and what you are trying to accomplish. As a result, you will find that most mechanics will be happy to teach you what you need to know. 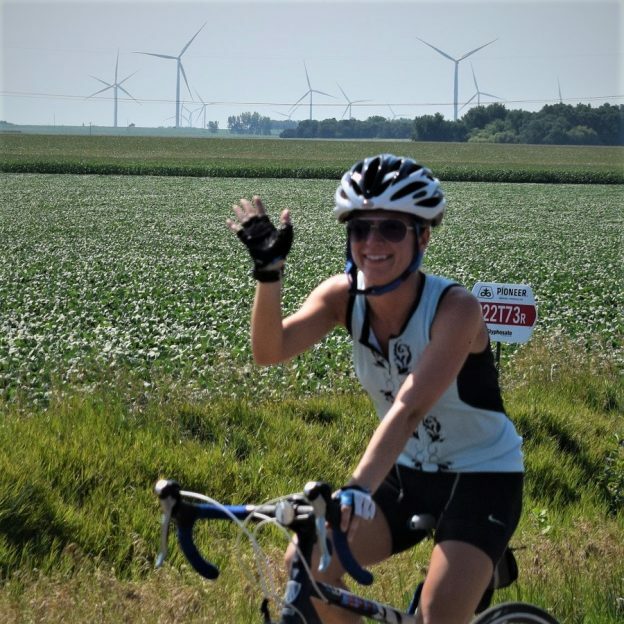 This entry was posted in News and tagged #30 days of biking, #bicycle, #mnbikeguide, #mountainbike, #mountainbiking, #nextadventure, #onlyinMN, #shimano, #trek, Adjust Derailleur, Campagnolo, ERGO, Gripshift, How To Adjust Derailleur, How To Shift, hybrid, hybrid bike, Mountain Biike, mountain bike, Mountain Biking, mountain biking fun, Ride My Bicycle, Ride My Bike, Road Biking Minnesota, sram, STI on August 18, 2017 by John Brown.